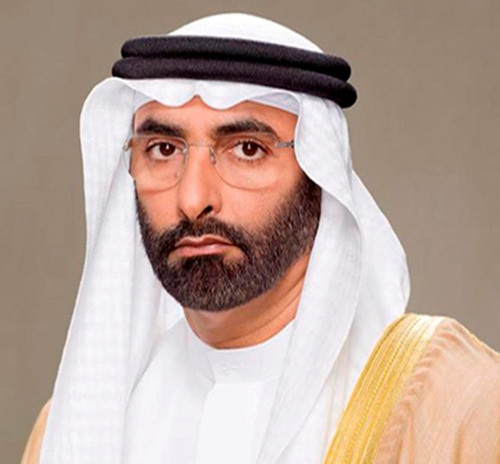 The UAE Minister of State for Defense Affairs, Mohammed bin Ahmed Al Bowardi (photo), lead a UAE delegation during a North Atlantic Treaty Organization, NATO, Defense Ministers Meeting, held Friday in the Belgian capital, Brussels, Emirates News Agency WAM reported. The UAE delegation - which participated in meeting discussions revolving around global military affairs - included senior officers and officials of the Ministry of Defense, and Ambassador Saeed Obaid Al Kaabi, Head of the UAE Mission to the NATO. NATO Defense Ministers exchanged discussions on a number of issues, including political and military developments in the US-led NATO operations, the future of the coalition, as well as global threats to security, and the need to tackle terrorism in Africa. On the sidelines of the meeting, Al Bowardi met with US Defense Secretary James Matiss, where the Minister reaffirmed the UAE’s commitment to combating terrorism in all its forms and manifestations. Al Bowardi noted the UAE’s participation in many regional and global counterterrorism alliances, such as the Global Coalition Against Daesh, is a clear indication of the nation’s concerted efforts to limit the impact of extremism and terrorism on local, regional, and international levels. For his part, Bahrain’s Defense Affairs Minister, Lieutenant-General Yussef bin Ahmed Al-Jalahma, also participated in the meeting, according to Bahrain News Agency (BNA). On the sidelines of the meeting, the Bahraini Minister met at his residence in Brussels the Saudi Assistant Defense Minister, Mohammed bin Abdulla Al-Ayesh, with whom he discussed ways to enhance cooperation between the two brotherly countries. The Minister also met Kuwait’s First Deputy Prime Minister and Defense Minister, Sheikh Nasser Sabah Al-Ahmed Al-Sabah, and reviewed with him ways to bolster bilateral cooperation. In another meeting, the Minister discussed with the U.S Defense Secretary, James Mattis, the friendship and cooperation Bahraini-U.S relations.